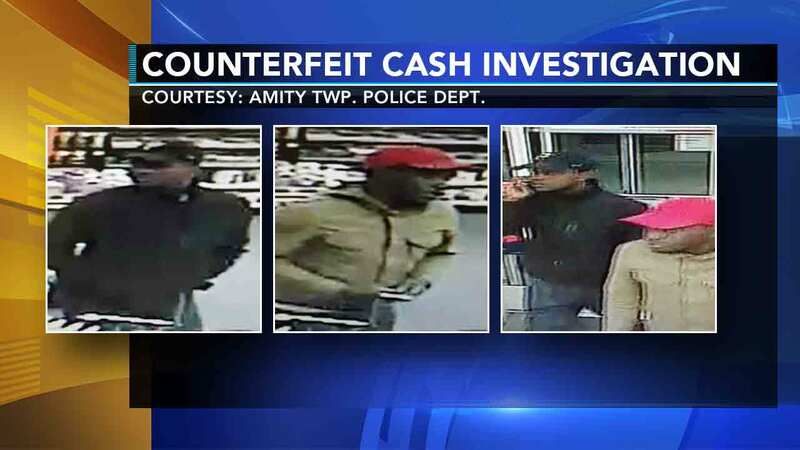 AMITY TWP., Pa. (WPVI) -- A number of counterfeit money cases are popping up across the Delaware Valley. Police in Berks County believe two men may be behind it. Amity Township police released photos Tuesday of the two suspects. They say the men have been using fake $100 at several businesses throughout Berks, Montgomery, Bucks, and Delaware counties. Anyone with information should contact police.